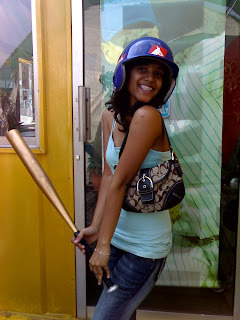 quintessential` + misstiv': "take me out to the ball game"
Well, it's not really a ball game. It's good enough of a ball game. 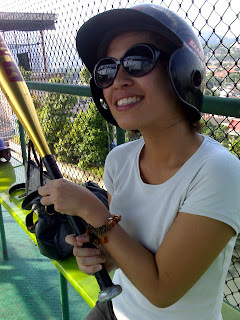 Managed to get "suited up and bat"! 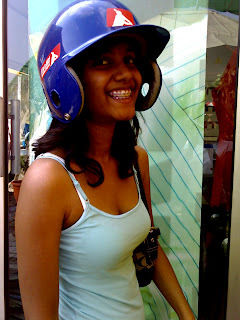 Christal had this random crave or somewhat, urge to try out a new sport/hobby - Baseball! 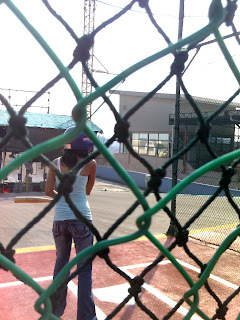 Diligently, she picked me up from uni, and away we went to the Batting Cage @ Upper Roof, One Utama Shopping Mall together with Christal's uni-mate, Shoma. 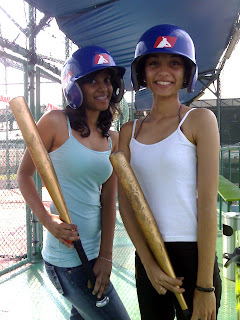 3 girls heading for the batting field. How exciting! (1)"FREE PARKING EVERY WEDNESDAY TILL 15TH SEPT!" Wow, how lucky can you get. Gleefully, she drove up the ramp and (2) found a decent parking in less than a minute. 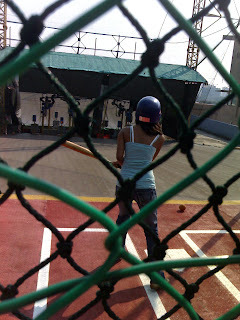 In addition, we got to the batting area and found out we missed the special rate. But wait...god was kind to us again. (3) And there it was, "SuperSaver rate on Wednesdays" too! Wow, 3rd is always the charm! 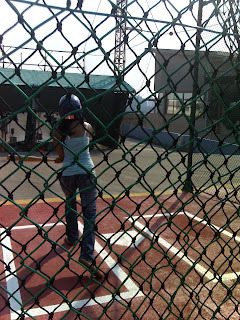 YOU AND THE PITCHER (aka the ball machine)! Honestly, it was really fun. Tiring but fun. The impact of the ball when it hits your bat, really is painful. Go try! You'll know what I mean. Finished playing, went to grab some quenching JuiceWorks and headed home. Mango loh would do just fine.